Yeah, this is a difficult film to enjoy. 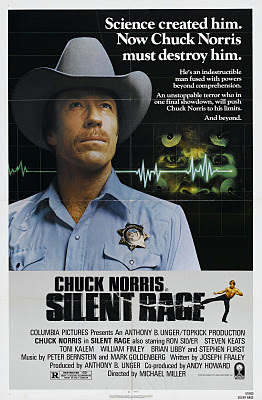 It really does feel like the filmmakers were trying to make a Halloween/Friday the 13th, then Chuck Norris got cast and insisted re-tooling the script and playing a sheriff. 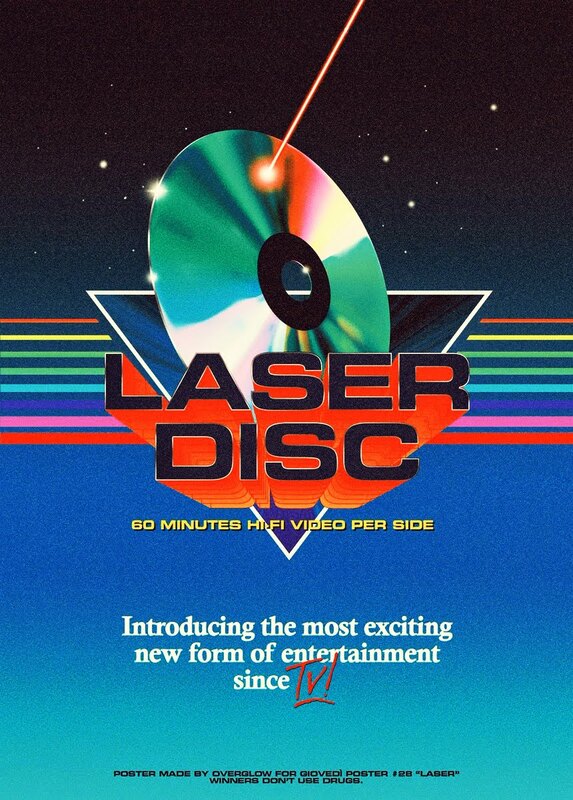 So it neither has the scares of a horror film or the action of Norris film. You're right Ron Silver gives a pretty good performance everyone else is terrible. Still gotta love that poster and how it mentions "Chuck Norris" 4 times and has 2 photos of the man. I'm sure the tagline "Now Chuck Norris Must Destroy Him" was responsible for all these Chuck Norris facts. I liked this more than you, but honestly, the first time I saw it, I felt the same way you did. I recently saw it again and it worked a lot better on the second viewing. The bar fight is a classic, the comic relief is actually pretty funny, and Silver is pretty awesome. I still think the flick runs on too long but it was an inspired change of pace for Chuck. I still think it would've been a bigger hit if they had simply just called it "Chuck Norris vs. Frankenstein". Jack: Ha ha! I think they had to oversell the Chuck Norris factor because they didn't think they had a great product in the end, which is a shame because Norris was a badass as always. I think they seriously overdid it by implying there was a lot of Chuck Norris fighting and all that when there are literally only 2 scenes of that. Silver was great though! Great review! Chuck is at his most wooden in this one! Haha. When his partner died, he couldn't even muster up a tear or anything. It was really funny! Ingo: Yea, Chuck is always great, but not a lot of his films are. There are a select few. My favorites would have to be Invasion U.S.A. and Lone Wolf McQuade without a doubt. Haven't seen the Missing in Action flicks in decades, but I'll have to revisit them soon. Ty: Yes! Wooden is the word! Though when he stood up after his partner died, I loved that pissed off look on his face. Classic. And it's funny when you think about it. He was so preoccupied with hooking up with his ex, he neglected a majority of his job and probably could have prevented a lot of this had he been more on the ball and not horny through the whole movie. Haha, that makes perfect sense!